Will you progress to become one the three principals of your chapter? Recall at the end of your third degree, you were told that the genuine secrets were lost and can be discovered in the Royal Arch. By becoming a Royal Arch Companion you will complete your ancient training! Royal Arch Chapter is intrinsically linked to Craft Freemasonry and is considered the fourth essential step in completing your ancient masonic knowledge. New members are exalted as part of a dramtic ceremony, followed by a historical teaching. Grand Chapter is ruled over by three Grand Principals, with a Pro First Grand Principal when the First Grand Principal is a Royal Prince. Each Royal Arch Chapter is governed conjointly by not one but three Principals, with each having a distinct role with the Chapter. Members of the Royal Arch are known as Companions and meetings are called Convocations. Companions wear unique regalia. 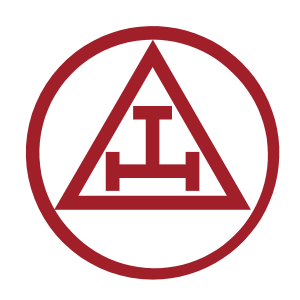 Your Craft lodge will have a Royal Arch representative who can help and explain the process which is very straight forward. There are over 40 Chapters in our Province which are listed here. If you’d prefer, drop us an email and we’ll answer your questions.